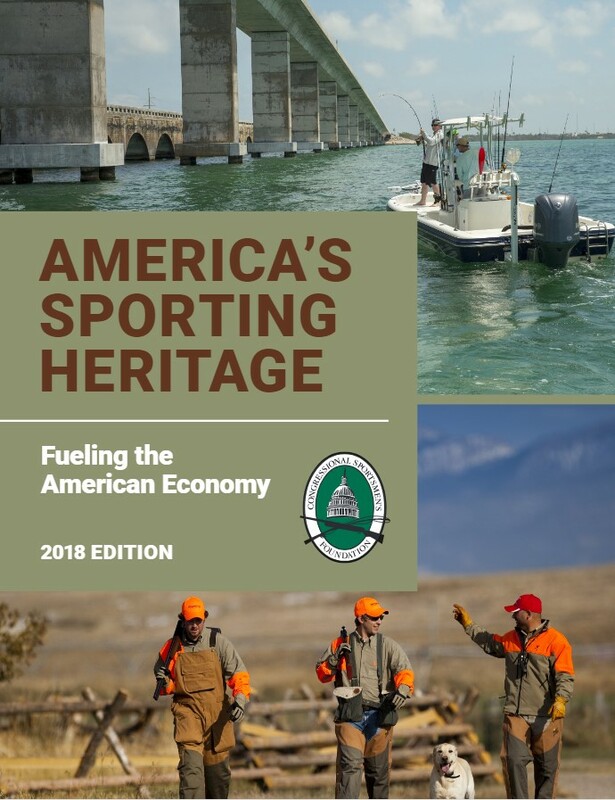 America’s Sporting Heritage: Fueling the American Economy, prepared by Southwick Associates for the Congressional Sportsmen Foundation, ties the economic impacts of hunting, sportfishing, and target shooting together. With at least 53 million Americans participating annually in hunting, shooting, and sportfishing, a total of $93.5 billion was spent in 2016 for gear, licenses, travel, clothing, gas and more. Once spent, these expenditures had a ripple effect on our nation’s economy, supporting 1.6 million jobs and providing $72 billion in salaries and wages. These monies also generated nearly $30 billion in local, state and federal taxes, plus billions more in excise taxes dedicated to vital conservation, firearms safety and outdoor educational programs that will help ensure outdoor experiences for future generations to come. Download the report for more detail and for ‘sound bites’ to learn how hunting, sportfishing and target shooting’s economic benefits compare to well-known every day activities and spending. Click here to download the NEW report.